Dr. David Gulley serves as the founding director of the Technology Transfer Office of the Puerto Rico Science, Technology and Research Trust. Dr. Gulley’s career includes over 25 years of developing and implementing innovation-based and technology-led economic development. 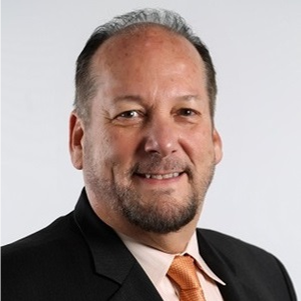 He has provided leadership around the global technology transfer community including universities in Chile, University of Illinois at Chicago, Southern Illinois University, Certified Licensing Professionals (CLP), Alliance of Technology Transfer Professionals (ATTP), and the Association of University Technology Managers (AUTM). My former university, the University of Illinois at Chicago, was one of the early adopters of D.E.A.L.S. Db with Robert Sloman (founder and CEO of Inteum Company). Over the years, we implemented each iteration and improvement of Inteum as it grew and developed. While the early generations of Inteum did not always have a very attractive interface, the system provided an adequate place to store data and keep good records. It allowed us to easily generate reports, track expenses, monitor license compliance, and keep thorough patent records. This was an advantage when university administration asked for quick turn-around reports. One of our staff members, Cheryl, had a great relationship with the team at Inteum. She provided feedback and suggested improvements to the system, and her feedback was incorporated into the system updates. That’s what I love about Inteum: the needs of the end user are a primary consideration and the improvements are constantly made based on user input. Now, I’m leading a regional tech transfer office in Puerto Rico. We work with several universities, both large and small, and all of them are new to technology transfer. I work with each institution to develop a customized tech transfer solution that can be supported by our Trust. In many cases, we serve as the primary tech transfer office, handling all aspects of commercialization. In others, we have a shared work plan, and are responsible for only some aspects. Inteum enables that flexibility. For example, there are users from different institutions accessing our system for different purposes, so the record access control function is essential. The CRADA function is another important tool for us. As the Trust also provides competitive research funding and has its own science and technology programs, we repurposed it to track our grants that we award to research institutions, companies, and through our programs. We can then have an on-going record of IP and impacts linked to our grants or programs. As part of our outreach effort, I interview all grantee researchers to talk about IP and disclosure and encourage disclosure. Those cases and impacts are then tracked in our Inteum database. There are so many things to be done with Inteum here. We are in the first year of implementing our approach and I look forward to tracking impacts and generating reports at the end of the year. In the era of big data, we use many software products and platforms for various purposes and they generate extraordinary amounts of data, which can support good decision-making. It would be helpful to have the ability to integrate these data sources and tie them to their records in Inteum. Technology transfer offices continue to broaden their scope, and comprehensive industry-university engagement is becoming more important. It would be an asset if we had the ability to consolidate activities and impacts from all forms of engagement with one company record. There are not many differences in terms of data management or performance metrics across the global tech transfer offices. There are, however, differences in the scale and scope of activities. Many TTOs outside the U.S., such as those in Europe and Latin America may have a primary focus on research collaborations, and licensing can be secondary. Those TTOs may be the lead for industry sponsored agreements, collaborations, and consortia. The agreement function in Inteum serves their needs well. I would like to see even more powerful analytic capacity in Inteum that allows us to track trends in a dynamic time frame.